Home Entertainment Are You Curious About ‘Another Oh Hae-young’ Actress Seo Hyun-jin’s Latest News? Are You Curious About ‘Another Oh Hae-young’ Actress Seo Hyun-jin’s Latest News? Do you still remember the drama Another Oh Hae-young? If you have watched the drama, you must be familiar with Seo Hyun-jin. She has played various roles in many dramas and after her acting in the last drama, Temperature of Love, and her appearance in the drama Let’s Eat 3 in the second episode, Seo Hyun-jin is again being trusted to be the main character in her latest drama. The Beauty Inside is actually a remake drama from a movie with the same title as the drama. If the movie tells a story about a man whose face is changing every single day, the drama has a plot that is a little bit different. The drama version of The Beauty Inside tells the story of a woman whose appearance is changing to a different person at a certain point every month. The woman’s name is Han Se-kye, who is being played by Seo Hyun-jin. An executive of an airline company, Seo Do-jae, who is played by Lee Min-ki, meets Han Se-kye by coincidence. Seo Do-jae suffers a from prosopagnosia, the inability to recognize faces, so it is basically impossible for him to memorize people. He tries very hard to memorize people by their habits and mannerisms and decides to hide his disability. But somehow, he could only recognize Han Se-kye’s face. And after meeting her, his life changes. In this drama, Seo Hyun-jin is reunited with producing director (PD), Song Hyun-wook, who previously directed the drama Another Oh Hae-young. As we know, Another Oh Hae-young was a successful drama that started off with a two-percent viewership rating and finished with almost a 10-percent rating. 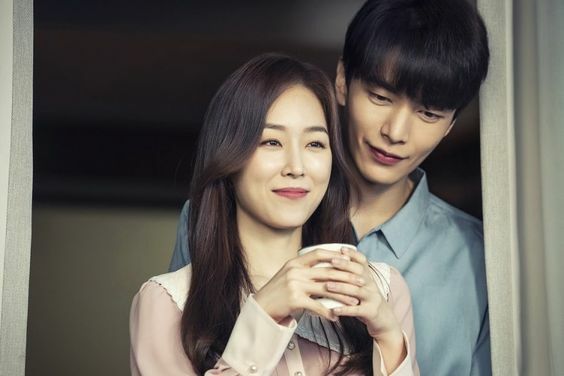 Both Seo Hyun-jin and Lee Min-ki were working very hard in the making of The Beauty Inside drama. Their synergy through their perfect acting is striking a sympathetic chord in Han Se-gye and Seo Do-jae’s emotional lines. And their magic-like romance seemed to enchant the audiences to have an emotional involvement with the drama. As the drama aired its last episode at the end of November, Seo Hyun-jin hadn’t been in talks to take a role in another drama or movie. Let’s just wait for the good news!